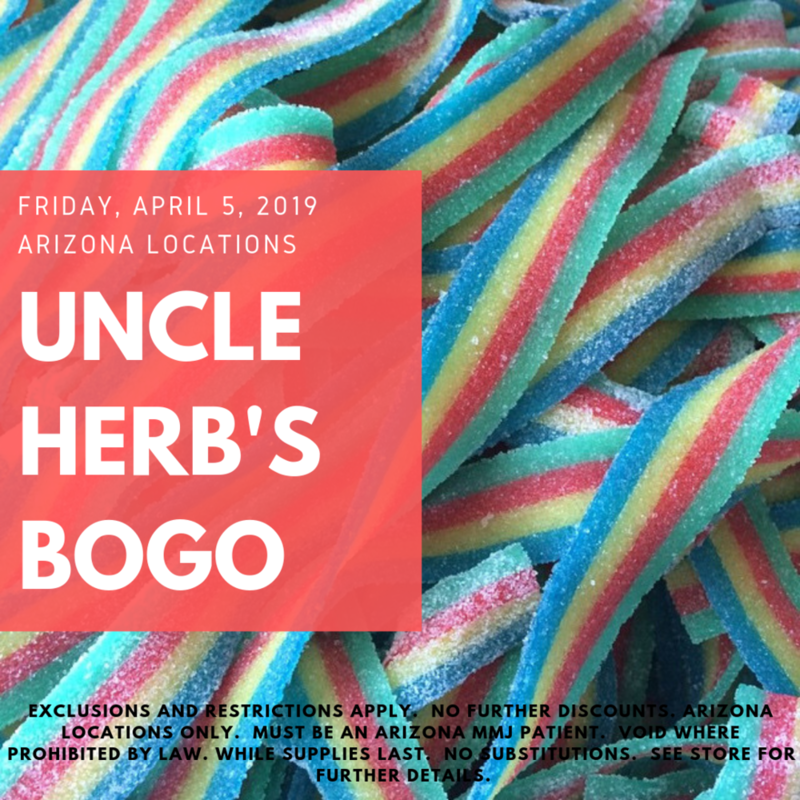 Arizona - Uncle Herbs BOGO! Choose from a variety of Uncle Herbs products! Save all day on Uncle Herbs products; from gummies, chocolates, Chill Pills, and dried fruit - Uncle Herbs has an amazing assortment of edibles to try! Meet the Uncle Herbs team at our McDowell location from 4:00 p.m. - 7:00 p.m.! Arizona - April Select Promos!